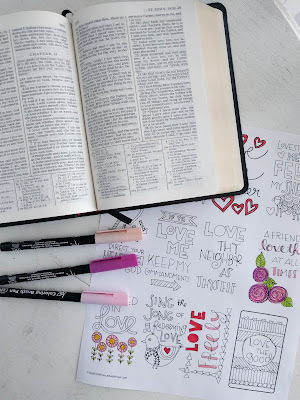 Next up in my Scripture Sketchnotes series is a study on Love. I so enjoyed this study and all the beautiful words I came across as I learned more about the topic of love. I'm delighted to be able to share this free printable with you today. 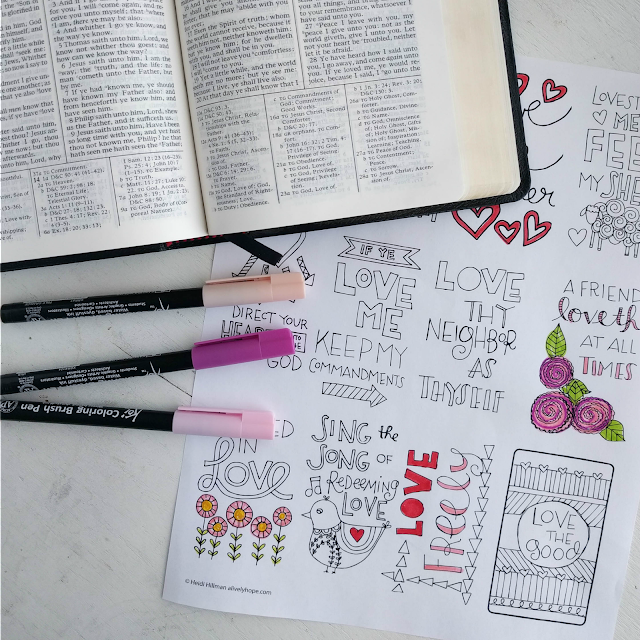 It features 12 doodled designs based on some of the scriptures I studied. Click ADD TO CART below to download the page of scripture sketchnotes. 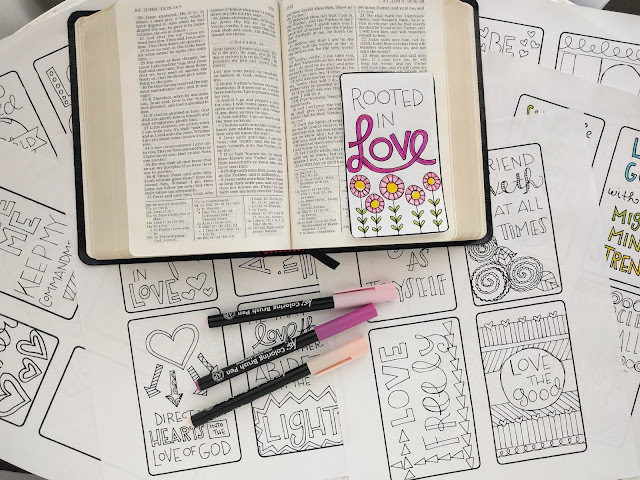 Print on regular paper, color and cut out the individual notes and glue/tape them to your scriptures or scripture journal. Have your children color them while you read to them. 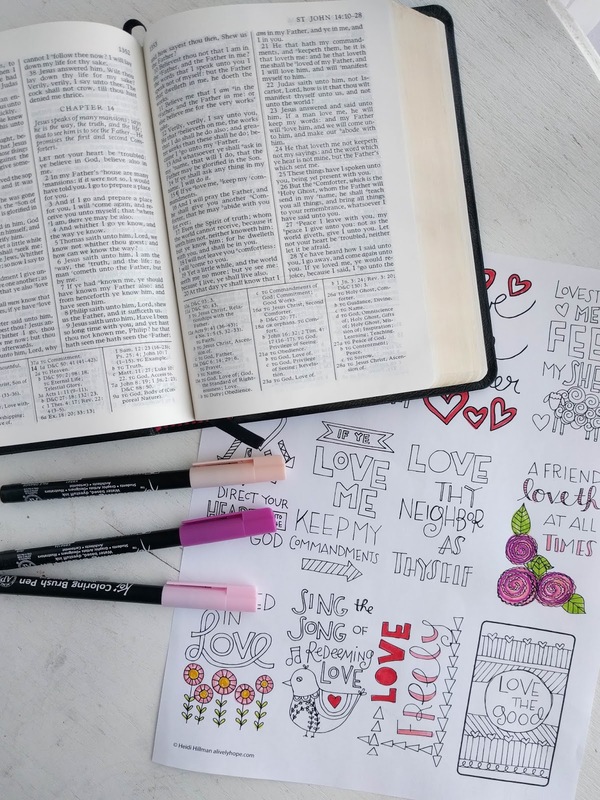 Using a light box, trace them into your scriptures.